Gartner Inc. has announced the winners of the 2018 Gartner Peer Insights Customer Choice Awards for Application Performance Monitoring. This review is conducted by end-user professionals’ experience of APM suites. 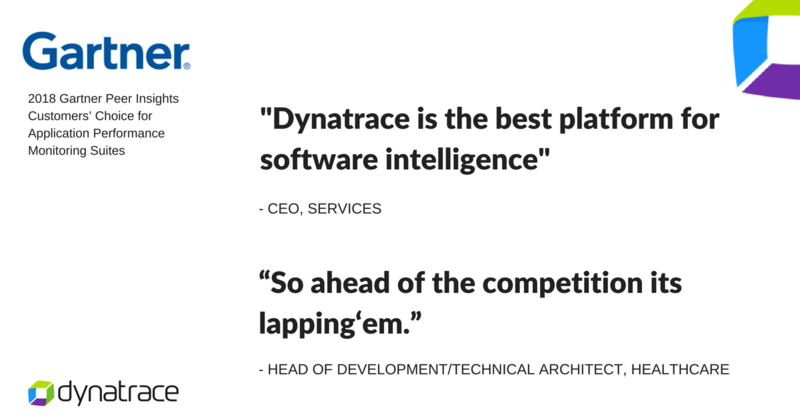 Dynatrace received the most reviews (314) with a 4.4 rating for the Dynatrace Platform. If you'd like to learn more about this and read the reviews about our product, please click here.